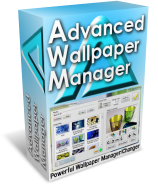 This application is an powerful wallpaper manager and changer. Is a utility that will help you configure your desktop wallpaper easily. Is has a simple and intuitive control panel to customize your desktop wallpaper conveniently. · Multiple resizing options: Crop to Screen, Fit to Screen, Stretch to Screen.